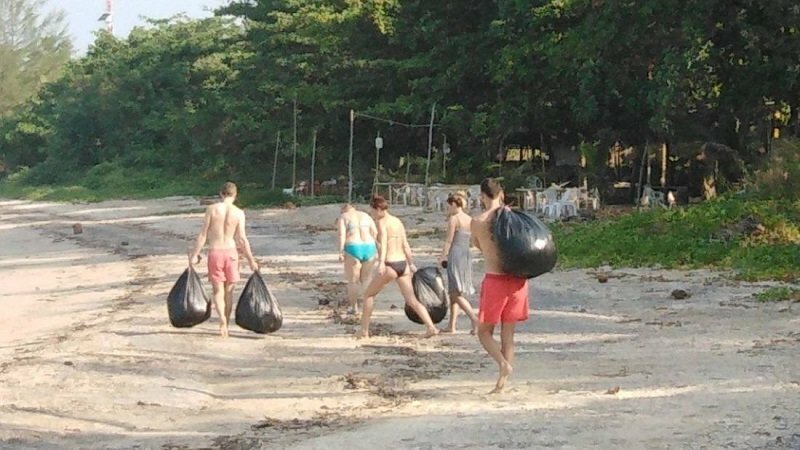 Five foreign tourists have spent their holidays today collecting rubbish along Laem Pong Beach in Krabi. They say they say they are very sad to see rubbish strewn all over the beaches and felt compelled to clean it up. Only for those plastic bags to be dumped in the ocean by Ev Services where they will choke fish. turtles and birds. How utterly boring and predictable. Well done to them. Sadly doubt we will be seeing them come back anytime soon. Remember the Tsunami volunteers ? Good to see foreigners doing something positive as opposed to just whinging. Sadly it’s gonna take more than a few hours and a weekly gesture but it’s gotta start somewhere and maybe that’s what required to begin to change the way people view the problem. I don't lift a finger in Thailand, always somebody waiting to report you.